Hewlett Packard - 864132-001 864132-001 HPE 400GB SATA 6GBPS WI-3 LFF 3.5inch SCC Internal Solid State Drive. New Retail Factory Sealed With Manufacturer Warranty. Hewlett Packard - 867814-001 867814-001 HPE 400GB SATA 6GBPS WI-3 LFF 3.5inch SCC Internal Solid State Drive. New Retail Factory Sealed With Full Manufacturer Warranty. Hewlett Packard - 863731-B21 863731-B21 HPE 400GB SATA 6GBPS WI-3 LFF 3.5inch SCC Internal Solid State Drive. New Retail Factory Sealed With Manufacturer Warranty. Samsung - MZ7KM400HAHP MZ7KM400HAHP Samsung 400GB SATA 6GBPS LFF 3.5Inch Internal Solid State Drive. New Retail Factory Sealed With Full Manufacturer Warranty. 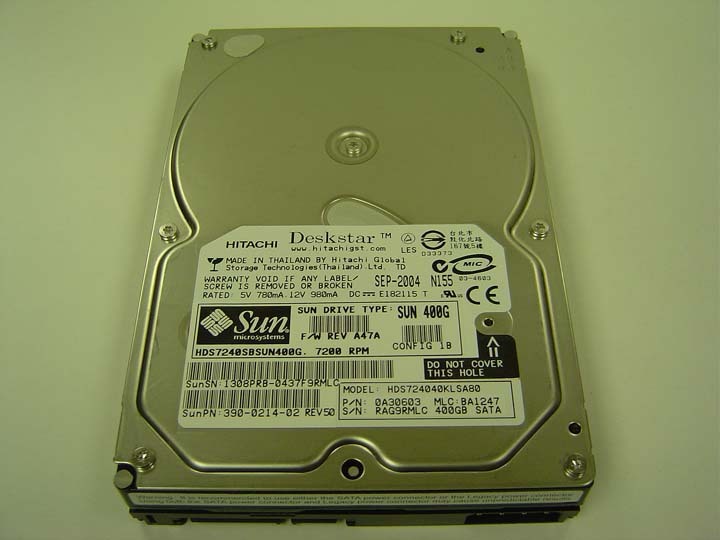 Intel - SSDSC1NB400G401 SSDSC1NB400G401 Intel DC S3500 SERIES 400GB SATA III 1.8inches MLC Solid State Drive. New Bulk Pack. Dell - 400-AEIY 400-AEIY Dell 400GB SATA 6GBPS Mix Use Slim Multi Level Cell Mlc 1.8inch Form Factor Hot Plug Solid State Drive For 13G Poweredge Server. New Bulk Pack. 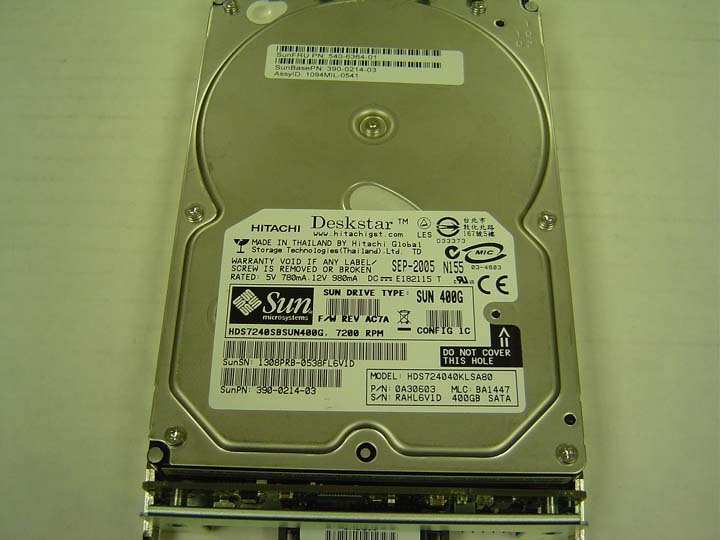 Dell - 400-26754 400-26754 Dell Hybrid 400GB SATA 3GBPS MLC 2.5Inch Hot Swap Solid State Drive For Poweredge Server. New Bulk Pack. Dell - DRFKN DRFKN Dell 400GB SATA 6GBPS Mix Use Slim Multi Level Cell Mlc 1.8inch Form Factor Hot Plug Solid State Drive For 13G Poweredge Server. New Bulk Pack. Dell - NYWPT NYWPT Dell 400GB SATA 3GBPS Mlc 2.5Inch Hot Swap Solid State Drive For Dell Poweredge R720 Server. New Bulk Pack. 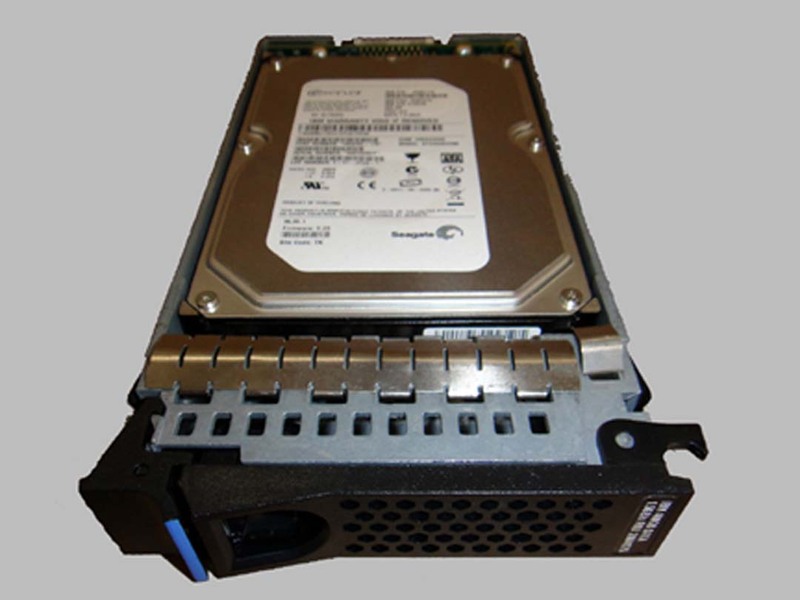 Dell - 400-AFNK 400-AFNK Dell 400GB SATA 6GBPS Mix Use Multi Level Cell Mlc 2.5Inch IN 3.5Inch Hybrid Carrier Form Factor Hot Swap Solid State Drive For 13G Poweredge Server. New Bulk Pack. Dell - 4VX1C 4VX1C Dell 400GB SATA 6GBPS Mix Use Multi Level Cell Mlc 2.5INCH IN 3.5inch Hybrid Carrier Form Factor Hot Swap Solid State Drive For 13G Poweredge Server. New Bulk Pack. 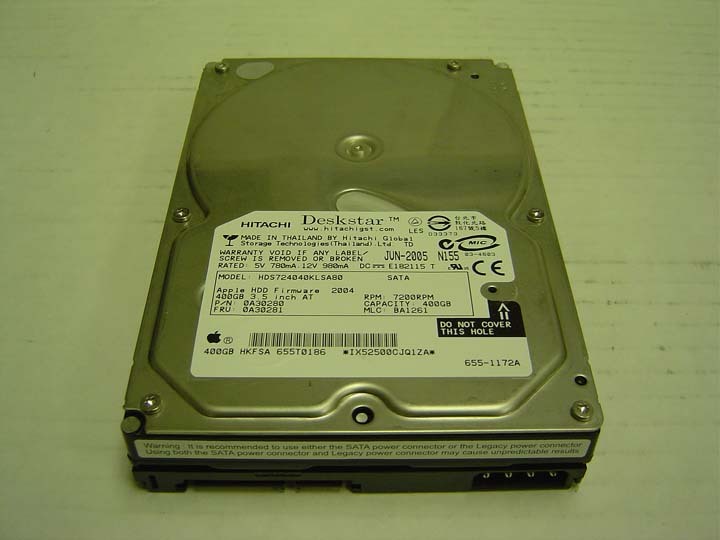 IBM - 49Y6124 49Y6124 IBM 400GB Sata 6Gbps 1.8inch Enterprise Mlc Solid State Drive. New Bulk Pack. Hewlett Packard - 805388-001 805388-001 HP 400GB SATA 6GBPS Write Intensive 2 Lff Scc 3.5Inch Solid State Drive For Proliant GEN8 Servers And Beyond Only. New Bulk Pack. Hewlett Packard - 804668-B21 804668-B21 HP 400GB SATA 6GBPS Write Intensive 2 Lff SCC 3.5Inch Solid State Drive For Proliant GEN8 Servers And Beyond Only. New Bulk Pack. 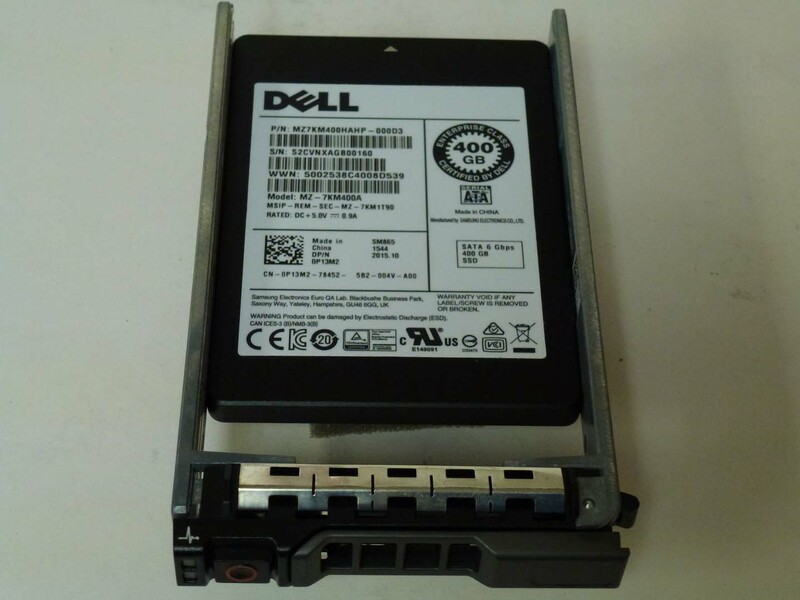 Dell - 342-5819 342-5819 Dell Hybrid 400GB SATA 3GBPS MLC 2.5Inch Hot Swap Solid State Drive For Poweredge Server. New Bulk Pack. Dell - 3XK2J 3XK2J Dell Hybrid 400GB SATA 6GBPS Mlc 2.5inch Form Factor Solid State Drive For Poweredge Server. New Sealed With 1 Year Warranty. 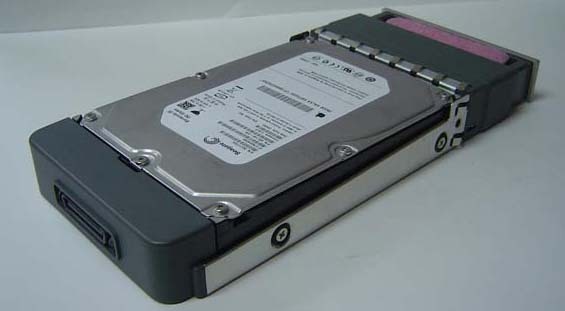 Dell - DMHHF DMHHF Dell 400GB SATA 3GBPS Multi Level Cell Mlc 2.5Inch Form Factor Internal Solid State Drive For Dell Server. New Bulk Pack.